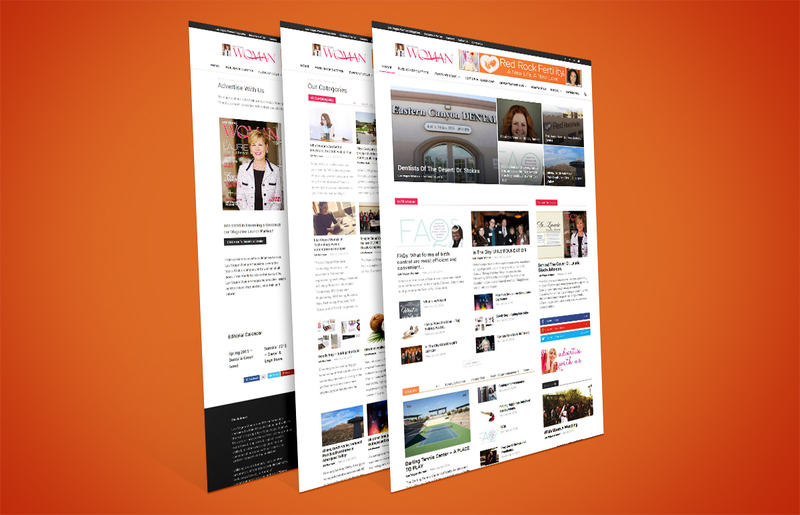 After more than 4 years, with close to 1,200 individual articles and pages and thousands of images, Las Vegas Woman Magazine’s website was pushing the limits of their site’s capabilities – it was time to revamp the backend and to give Las Vegas Woman Magazine’s website a facelift. 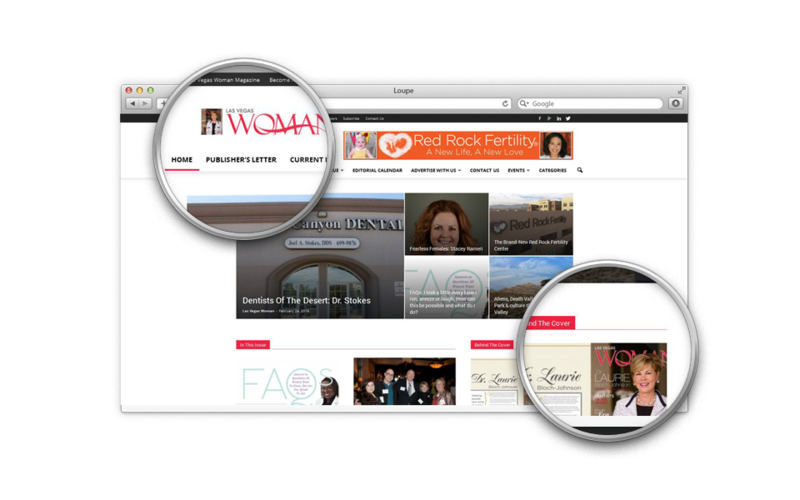 Moving a content-heavy website like Las Vegas Woman Magazine’s is no simple task. Every article had to be looked at and checked, and adapted to the new layout’s requirements. Old features were removed and new ones were added – all under careful consideration of the existing structure, incoming links and every single page’s established SEO status. Every issue has its own color (and color scheme) – the website follows the chosen color selection, showcases the cover story in a prominent position on the homepage and displays a thumbnail of the cover image as part of the logo. 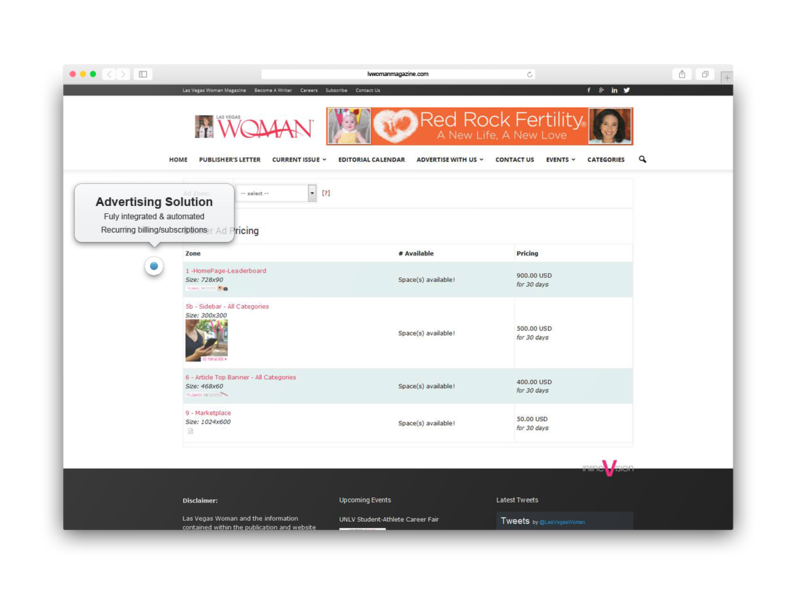 The integrated advertising system allows for the creation and definition of custom ad zones and can be configured to work as a fully automated solution, including recurring payments. Las Vegas Woman Magazine is a lifestyle publication that provides the women of Las Vegas with a positive resource to find information that is relevant to their lives and important to their hearts. Through the magazine, website editorial, social media and events, it is the company’s mission is to educate, entertain and inspire both personally and professionally. Las Vegas Woman covers the topics that are important to women: events, fashion, health, food, career, female features, family and so much more. Las Vegas Woman hopes that their readers are inspired, enjoying life and living to their fullest potential.